SSM Schärer Schweiter Mettler AG is offering the most suitable assembly winding machine for every application. This relates equally to the kind of winding and the thread laying system. Consequently the customer can order a machine tailored exactly to his particular needs. If automation is aimed at, SSM assembly winders are eminently prepared for this, and a number of variants can be provided. SSM XENO - the new modular winding machine platform, available with all three leading SSM winding technologies. The SSM XENO-YD is a precision assembly winder for all kind of staple and filament yarns. Equipped with the latest technology and the possibility for adding an elastane component to the assembly process. N° of spindles min. / max. The SSM XENO-FD is a precision assembly winder for all kind of staple and textured filament yarns. Equipped with the latest technology and the possibility for adding an elastane component to the assembly process. 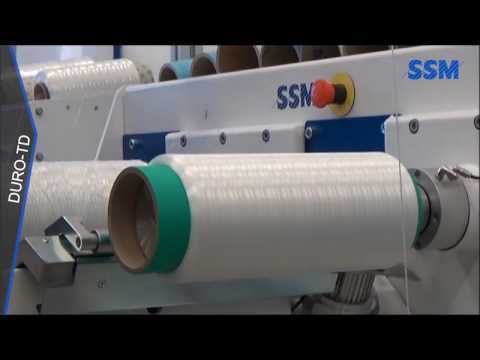 The SSM XENO-BD is a precision assembly winder for all kind of staple yarns. 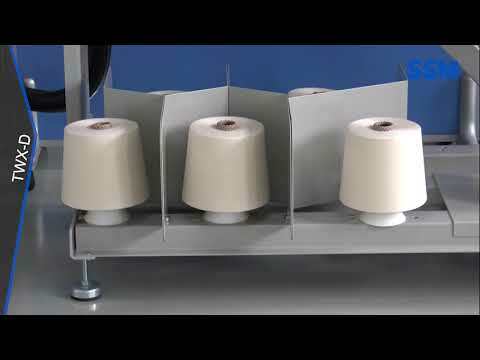 The machine is equipped with the latest edition of counter-rotating blades for gentlest yarn treatment. 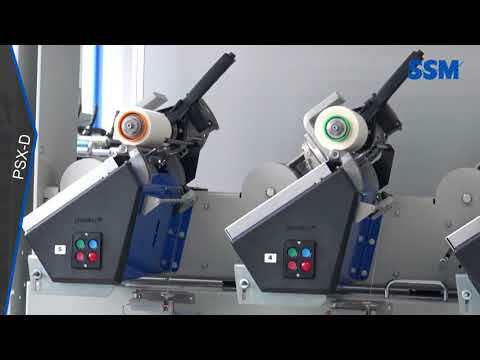 The SSM DURO-TD precision assembly winder for coarse technical yarns up to 50000 dtex offers a new level of flexibility and package quality in one machine; thereby ensuring optimal unwinding and running performance in all twisting processes. The SSM PSX-D assembly winder, with counter-rotating blades for a gentle thread laying, stands in the beginning of a well-made twisted yarn. As in spinning, the quality of the end-product is determined by the previous process steps, so in twisting, assembling is the crucial quality factor. Reproducible thread lengths and thread tensions are quality criteria met by SSM’s PSX-D assembly winders. The SSM TWX-D is the economic assembly-winding machine for high density, precision wound packages for twisting. Innovative solutions enabled an improvement of the thread path and the overall simplification of the superior winder. 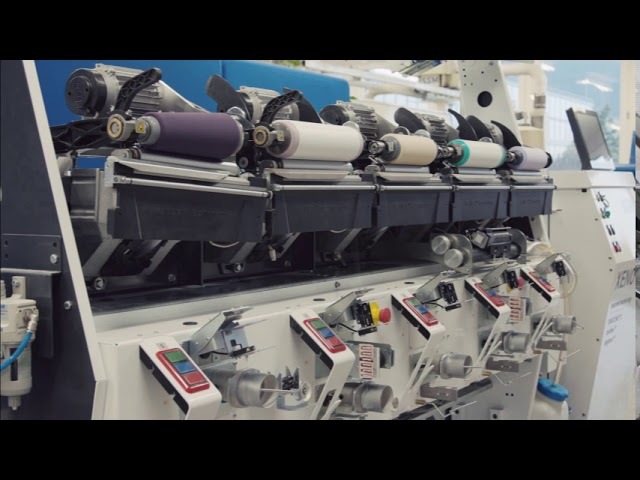 The electronic yarn laying technology fastflex™, allows high flexibility to produce made-to-measure crosswound packages. The ergonomic design and well established technology cuts maintenance and service costs down to a minimum. Thereby the TWX-D creates a new dimension for a cost effective assembly-winding process. The CWX-D, the new energy efficient drum assembly winder, to produce 2-ply as well as 3-ply packages. Featuring a new developed and single controlled BLDC drive, the SSM Classic Wind™ drum and an electronically controlled magnetic tension device suitable for winding various types of staple yarns.